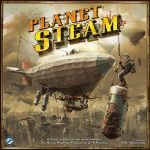 In Planet Steam you take the role of entrepreneurs in a steampunk boomtown, racing to assemble equipment, claim plots of land, extract resources, and accumulate riches. 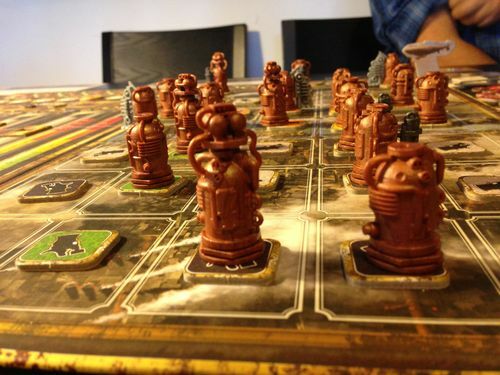 After harvesting resources using tanks and converters, players must buy and sell those resources. The one who earns the most income will be victorious. Components in excellent condition, I have only removed the shrink wrap and looked in the box. 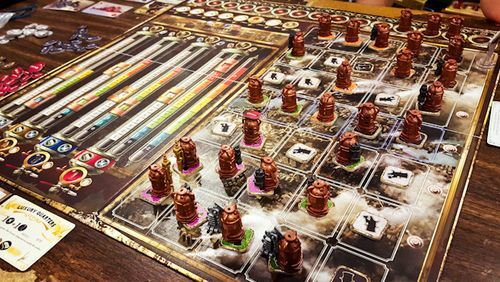 I'm not sure I will ever get this one played as my group is decidedly into lighter games but it looks excellent. This is the English 2013 second edition.